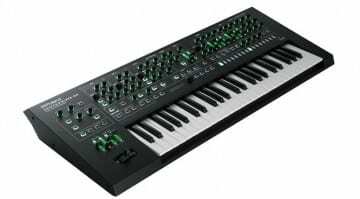 On the eve of 808 Day Roland let slip that they could well be releasing the third Plug-Out virtual synth for their System-8 synthesizer. 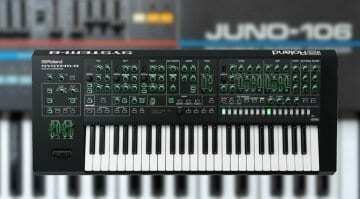 We already have the Jupiter-8 and Juno-106, so which classic synth are they going to release? Maybe since Behringer were in danger of stealing the 808 Day thunder Roland felt they had to do something without giving too much away. 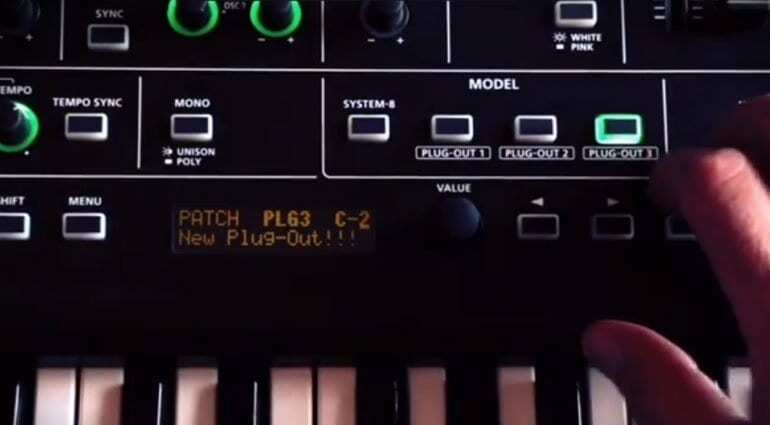 And so we have Roland beta tester Gattobus releasing a 26-second video on Facebook of the System-8 playing a third Plug-Out synthesizer. It’s obviously polyphonic but which of Roland’s extensive back catalogue could it be? 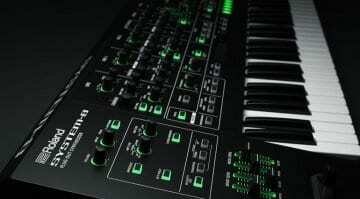 The favourite seems to be the JX3P, but it could also be a Jupiter-4, Jupiter-6, JD-800 or Juno-6 amongst others, all classics and would certainly cause a bit of a stir. Better than a pair of trainers though certainly. I guess we’ll have to wait until tomorrow and I hope a Plug-Out/Plug-In of an old synth isn’t all they have up their sleeve.